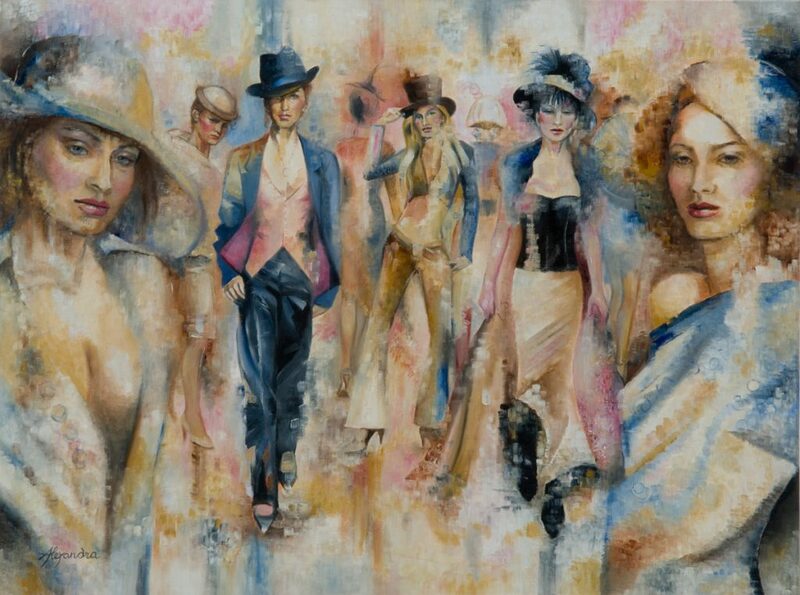 A stunning semi abstract painting in pinks and blues depicting the beauty and elegance of models on a stylish Parisian catwalk. The ‘scumbling’ technique has been used to allow layers of colour to show through and add texture to achieve a beautiful magical effect. A fabulous painting to grace any wall.